On this page we keep you updated on the latest news and seasonal trends. It is every year a party: the opening of the Tulip season with the official kick-off on the Dam Square in Amsterdam. On Saturday January 20th 2019 it’s the official kick-off of the Tulip season. The Dam Square in Amsterdam will be transformed by growers into a large Tulips flower garden with as many as 200.000 colorful Tulips. Wow! From 13:00h to 16:30h this Tulips garden is open, so take your grandma, brother, friend or neighbor and enjoy the splendor and colorfulness of this large amount of tulips. This year the theme of the national Tulips Day is ‘romance’. And we fully understand that thought! Because, who is not in love with these cheerful flowers? Tulips are really atmosphere makers. From a single Tulip in a vase to a lush bouquet. This versatile flower fills every room with a cheerful, cosy atmosphere. The vibrant appearance makes the Tulip to the happiest flower of The Netherlands. Did you know that there are over 1,000 different types? Each with their own character and style. Thanks to the large variance, the possibilities are endless to shine in your interior. 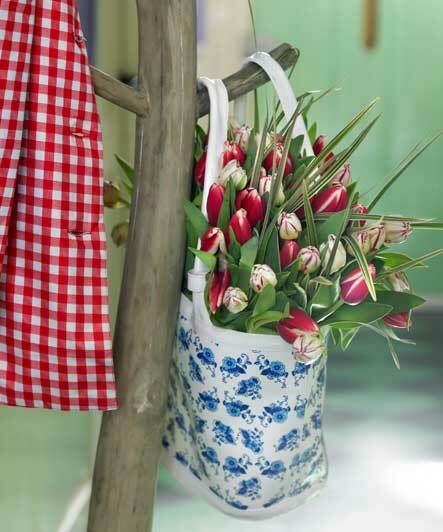 Because Tulips still grow happily in the vase, a Tulip bouquet never looks stiff or boring, it lives forever! To enjoy happily from your Tulips, proper care is important. First of all, choose a large vase in which the stems may still have room to grow. Then cut the stems diagonally and put the Tulips in a small layer of cold water. Never give a pin prick under the flower bud, this is a persistent myth, and it’s bad for the flower. Tulips also don’t like direct sunlight and heat, therefore don’t put the vase in a sunny spot or near the heating. The fantastic colors and shapes of this beauty originate from the tropical rainforest. 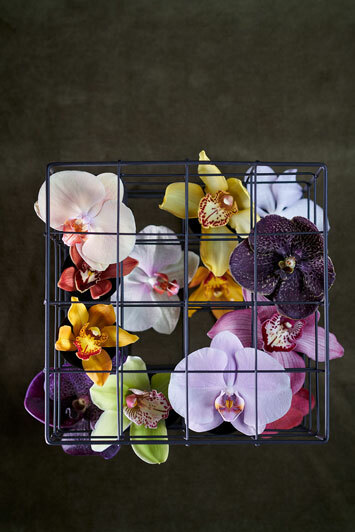 There is an appropriate style for each orchid. She is there in all kinds of impressive colors and prints, wether you take the butterfly like phalaenopsis, the glittery vanda or the slim cymbidium, they are all just as nice as their name suggests. Many species are also in different sizes, ranging from mini-flowers to copies with the most exuberant blossom. A ‘golden flower’ for warmth, color and happiness in your interior. In China and Japan people for centuries are one big fan of the chrysanthemum. Absolutely right! Because this ‘golden flower’ brings warmth and color, shines in each bouquet and is also very long lasting. That is not only very very fine to put on the table, but is equally also a lot of fun to give as a flowery present! Chrysanthemums are in an unprecedented wide color palette. Choose color and enrich your home with chrysanthemums in warm golden, bronze or deep orange tones. Or go for subtile and quiet with chrysanthemums in shades of white, pink or purple. This beautiful bloomer is also available in various shapes: the spray, the fluff and the santinichrysant. At the latter are the flowers on the branched stem and they are much more compact. And as if that’s not enough choice, there are also still many flower shapes: from single to multiflowery and spider to pompon form. The tricks to enjoy your beautiful Chrysanthemums longer are a correct ambient temperature and ultra clean water. If there are bacteria in the water, your flowers will be spoiled a lot faster. So remove the excess leaves, so they’re not spoiling the water. Fill the water regularly: chrysanthemums use a lot of water. 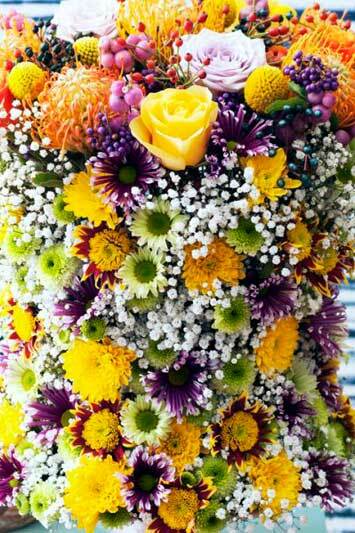 Do you also wish someone a long life with a beautiful Chrysanthemum bouquet of Flowers Rotterdam? Sunflowers guarantee you a huge chunk of summer feeling and they are also a symbol of the sun and love. In Greek mythology, nymph Clytia madly fell in love with the god of the sun, Apollo. Though she was very beautiful Apollo never answered her love. The result: Clytia died of misery, changed in a sunflower and turned so constantly with the sun to see ‘her’ sun god. This cheerful flower knows a very romantic but dramatic love story! The sunflower is native to North and South America. Indians ate the seeds from the flower, along with beans, corn and pumpkins. Today, feast on humans and animals still consists of sunflower seeds. 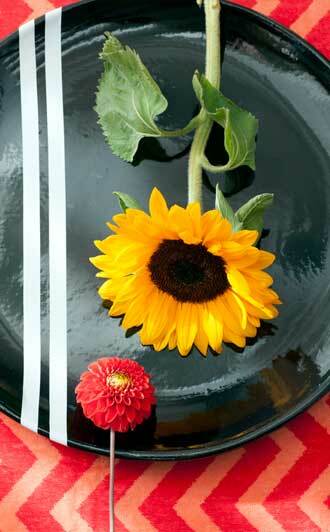 Did you know that the official name of the sunflower is Helianthus? A combination of the Greek words helios (sun) and anthos (flower). Sunflowers are widely available, especially in the summer months. Cut – before putting them in the vase – a piece of the stems, remove the lower leaves and put the stems in fresh water with flower food. Sunflowers are thirsty, so provide fresh water regularly. This will give you the longest pleasure of your sunflowers. Use a sturdy vase because sunflowers are pretty heavy. Peony, champion of all roses! The beautiful Peony flower is a real seasonal product, that announces the summer. Peony flowers are only shortly available and thus very much wanted and beloved! Peony Roses are something special. The bushes are lovely and vigorous with dark, glossy foliage and as spring warms to summer they become covered with huge, blousy blooms. Each flower is a work of art with layer upon layer of petals and a sweet and alluring perfume. When you buy Peony roses, watch the peduncles to be firm and the buds are ready to be opened. If you want to speed up the process, poor a little bit of warm (not hot!) water on the buds during a couple of days. When you get married in these months, think of a georgeous Peony wedding with romantic perfuming Peonies! It will upgrade your wedding day even more! Let us prepare a special Peony bouquet for you! De Lisianthus is geliefd om zijn authentieke, natuurlijke bloem en de vele kleuren. Bovendien blijft de bloem lang mooi. Deze lieflijke schoonheid komt oorspronkelijk uit de Amerikaanse staten Texas, Nebraska, Nevada en Colorado. Daar groeide de Lisianthus van nature in rivierbeddingen en prairiegebieden. Omdat ze tot de familie van de Gentiaan behoort, wordt ze daar ook wel prairiegentiaan genoemd. In Japan is de Lisianthus verder veredeld; daar komt de naam ‘Japanse roos’ vandaan. De Lisianthus is er in het wit, rood, blauw, geel, roze, paars, oranje en tweekleurig en in multicolor. In Nederland worden enkelbloemige en dubbelbloemige Lisianthus-soorten geteeld en elk jaar komen weer nieuwe soorten op de markt. Er is dus altijd een lisianthus die past in jouw interieur. De lieflijke Lisianthus is tevens een krachtig symbool van waardering, dankbaarheid en charisma. Een mooi cadeau dus, ook om je liefde te tonen! About Flowers is a modern and contemporary flower shop in the centre of The Hague where we create stunning flower arrangements for individual and business to business customers, with a passion second to none.